The Irish-born psychologist and psychoanalyst Aiveen Bharucha attended Loreto Abbey, a Catholic boarding school for girls in Rathfarnham, Dublin, before studying psychology in England. Subsequently she worked as a clinical psychologist in the Department of Child Psychiatry at the Royal Free Hospital in London. In 1978 she joined the child psychotherapy training at the Tavistock Clinic, where she met her husband Manek Bharucha (1949-2016), a child psychiatrist from Bombay. They married in 1982, their daughter Aoife was born in 1983, and their daughter Tehmi in 1986. In 1995, Aiveen and Manek Bharucha moved to Bombay (today's Mumbai) to set up a Tavistock model child psychotherapy training there in collaboration with three Indian psychoanalysts already in practice in Bombay. Aiveen Bharucha is a member of the British Psychological Society, the Indian Psychoanalytical Society and the Association of Child Therapists. Since 1995 she has been working with the Psychoanalytic Therapy and Research Centre (PTRC) in Mumbai, as a psychoanalyst of adults and children. Her main focus lies on the infant observation developed by Esther Bick. The Indian psychoanalyst Minnie K. Dastur lives in Mumbai, where she has been practicing as a psychoanalytic psychotherapist with adults and children since the 1970s. She was a commerce and law graduate, having branched out into the field of personal management, before she took up psychoanalysis. In the late 1970s, she went to England to study at the London Tavistock Institute and to train as a child psychotherapist with Martha Harris. She is a member of the Tavistock Society of Psychotherapists and a member of the IPA through the Indian Psychoanalytical Society. She is a founding member and senior training analyst of the Psychoanalytic Therapy and Research Centre (PTRC) founded in Bombay (today's Mumbai) in 1974. In her article on The universal truth of myths reflected in psychoanalytic theory and practice published in 2013, Minnie Dastur compares the myths of Oedipus and Narcissus with the Hindu myths of Ganesh, Eklavya and Krishna. Situated within the Kleinian theory, she describes how these external myths serve as a container that holds the meaning of personal myths, illustrating it with a clinical case. The Iranian psychoanalyst and psychiatrist Mitra Kadivar is a Lacanian and member of the École de la Cause freudienne (ECF) and the World Association of Psychoanalysis (WAP). In 1979 she finished her study at the northern Iranian Mashhad University of Medical Sciences and went to Paris in 1983, where she was analysed by a Lacanian and member of the ECF. In 1993 she returned to Iran and a year later opened her private practice in Tehran. 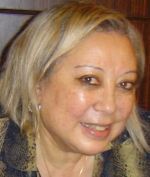 Mitra Kadivar taught psychoanalysis at various Iranian institutions, before in 2001 she founded a study group to teach Freud and Lacan in Iran. From 2005 to 2007 she held, along with her students, "Freudian Thursdays" in Tehran, the first serial lectures on Sigmund Freud in Iran. All these activities resulted in the foundation of the Freudian Association in Tehran, the first Iranian psychoanalytic organisation, directed by Mitra Kadivar. The Freudian Association received its foundation license from Iran's Ministry of Interior in 2008 and is affiliated with the ECF and the WAP, founded by Jacques-Alain Miller. In December 2012 Mitra Kadivar was diagnosed as schizophrenic and held against her will in a psychiatric hospital in Tehran. Jacques-Alain Miller from the ECF organised a petition for her support, signed by 4.500 people, and Mitra Kadivar was released from hospital in February 2013. According to Kadivar, a simple neighbourhood dispute and a medical error led to her hospitalisation. In France, however, a controversy broke out over whether Mitra Kadivar's psychiatrization had been a result of a psychotic episode (Élisabeth Roudinesco) or of her courageous (between the lines: politically undesirable) nonconformity (Jacques-Alain Miller). The dispute culminated into a process Miller vs. Roudinesco, which Miller lost. The Indian philosopher and psychoanalyst Freny Mehta took her master's degree from Bombay University with philosophy and psychology as her main subjects. Idealism as taught by the Indian philosopher Joseph Casimiro Patrocinio d'Andrade at the Elphinstone College until 1949 stamped her thinking. In 1952 she began her psychoanalytic training at the Indian Psychoanalytical Institute in Bombay and became that same year an associate member of the Indian Psychoanalytical Society. Since the early 1960s, she practised as a psychoanalyst in Bombay, specialised in treating women and children. From 1966 to 1978 she was chairman of the Indian Council for Mental Health (ICMH), an organisation which employed psychiatric social workers to lecture and counsel in numerous schools and colleges in Bombay. Freny Mehta insisted that all her workers underwent personal analysis. In 1978 she travelled to England to participate in philosophical and psychoanalytical seminars. Few Indian analysts have spent so much effort in the development of Freudian metapsychology as Freny Mehta has done. For example she changed the structural theory of the punitive sadistic superego by introducing a new structure of a more gentle and kind parental agency which she called "benign conscience". She edited the book The Scientific Consensus and Recent British Philosophy, which supplies a new metapsychological epistemology basing on convergences of British schools of psychoanalysis, Jean Piaget's analysis, the Gestalt school and ethology, and ethics of British idealism. Rafah Nached, the first practising psychoanalyst in Syria, was born in Halab [Aleppo] in Syria. She studied philosophy at the Saint-Joseph University in Beirut and graduated in clinical psychology and psychoanalysis from the University of Paris VII. After completing her training analysis in Paris, she returned to Syria and in 1985 began to practice psychoanalysis at a psychiatric hospital in Aleppo. In the mid-1990s, she set up private practice as an analyst in Damascus and succeeded in establishing a series of lectures on psychoanalysis in the Jesuit centre. In 2000, Rafah Nached created the Damascus School of Psychoanalysis in conjunction with French colleagues. Rafah Nached, an adherent of Jacques Lacan, is particularly interested in the application of psychoanalysis to the Arab culture and language. She pointed out, for example, the relationship of Sufi mysticism to the "jouissance", whereby Lacan's language could perhaps better be understood in the Arab world. This question was also the subject of the international symposium "Le féminin dans l'expérience et la mystique psychanalyse" she organised together with Pierre Bruno in Damascus in 2010. After the anti-regime protests erupted in March 2011 in Syria, Rafah Nached and the Jesuit and psychoanalyst Rami Elias arranged a weekly workshop, where Syrians from different faiths and political views could talk about their fear in view of the daily violence. In September 2011, the 66-year-old psychoanalyst was arrested, but due to international protests she was released from prison two months later. The Indian psychoanalyst Kamalini Sarabhai was married to Gautam Sarabhai (1917-1995), head of Sarabhai Industries in Ahmedabad, Gujarat, one of the largest industrial concerns in India. The Sarabhai family was closely associated with several prominent psychoanalysts including Erik H. Erikson, who described their role in Mahatma Gandhi's life in his book Gandhi's Truth. The family also used its assets for social purposes and the promotion of art and science. In the 1940s Kamalini Sarabhai took her two daughters and went to London, where she pursued a six-year psychoanalytic training at the British Psycho-Analytical Society (BPAS) and the Tavistock Clinic. She became a member of the BPAS with a special interest in child development. On returning to Ahmedabad she started Balghar School in 1949, an experiment in nursery education (now primary school), where children could learn at their own pace without outside imposition. Elise Snyder, president of the China American Psychoanalytic Alliance (CAPA), grew up in New York as the daughter of Harry and Dora Wechsler. Her father was a lawyer, her mother a bookkeeper. At the age of fourteen, she discovered the work of Sigmund Freud at a public library in the Bronx. When she was sixteen, she undertook her first analysis. After studying at the Medical College of Columbia University, she graduated in 1958 and specialised in psychiatry. She underwent psychoanalytic training at the Western New England Institute for Psychoanalysis and became a member of the American Psychoanalytic Association (APsaA). While studying, Elise Wechsler was married to Arthur Snyder, a professor of medicine, with whom she has two daughters. Later she divorced Snyder and married her former analyst, Victor Rosen (1911-1973). When she left him after seven years of marriage, Rosen committed suicide. Elise Snyder's third husband was an art historian. In 1986, she met Michael Holquist, Professor of Comparative Literature and Slavic Language and Literature at Yale University, whom she married in 1999. In 2001 Elise Snyder was invited to give two papers on psychoanalysis at conferences in Beijing. She established relations with a group of professors and students from Chengdu who were very interested in psychoanalysis. The following year, Snyder created the China American Psychoanalytic Alliance (CAPA) to organise the training of Chinese psychiatrists and psychologists by American psychoanalysts. Since that time, under the leadership of Elise Snyder, CAPA conducts training analysis with Chinese candidates via Skype. A two-year training in psychoanalytic psychotherapy started by CAPA in 2008 was attended by students from more than ten cities in China. Teresa Ana Yuan is an Argentine-born psychoanalyst with a Chinese background. Her father came from Kwangton in China and immigrated to Argentina in 1929; her mother came from Syria. Teresa Yuan graduated in clinical psychology at the Universidad de Buenos Aires, where she was engaged in teaching and research work at the Department of Medical Psychology from 1980 to 1986. She received her psychoanalytic training in Buenos Aires at the Universidad del Salvador and the Angel Garma Institute of the Asociación Argentina Psicoanalítica (APA). A member and training analyst of the APA, she lives in Buenos Aires. Teresa Yuan first came to China in 1995 to teach psychoanalytic psychotherapy at the Child Psychiatric Institute of the Beijing Medical University and at the Beijing Anding Psychiatric Hospital. From 1995 onwards she has held several positions in China Committees of the International Psychoanalytical Association (IPA), among others as member for China of the Asia Subcommittee (1997-2000), Director of the China Division (2000-2001) and Consultant of the China Development Committee (2005-2007). In 2002 she started psychoanalytic training in Beijing in collaboration with Anding Psychiatric Hospital under Yang Yunping, offering seminars for Chinese psychiatrists and psychotherapists. Further seminars followed in Xian, Hong Kong and Taiwan. Teresa Yuan's major scientific interest is psychoanalysis across cultural and linguistic differences.